Yes. I have limited means. Yep. 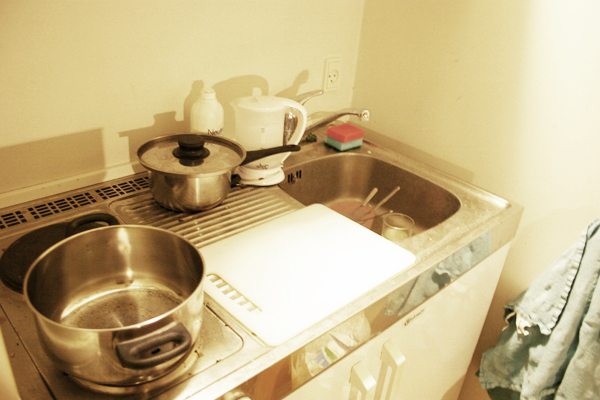 That is my “kitchen”. Two induction plates, one sink, and a “drying area”. No oven. No dishwasher. Definitely no food disposal. Oh and that left cabinet underneath the stove? That’s my fridge. Well, technically, it’s a mini-fridge, but this ain’t no hotel. They tell me that apartments in Copenhagen are small, but when you advertise a kitchen – one at least expects some form of counter top. But no. Not here. When I lived in Paris, I thought my corridor-sized kitchen was going to be the smallest cookery that I’d ever have to deal with. Honestly, it was 3 feet wide and not even 8 feet in length. But I’m happy to know that they’ve managed to make kitchens even smaller than that. So this is home for the next 4 months. 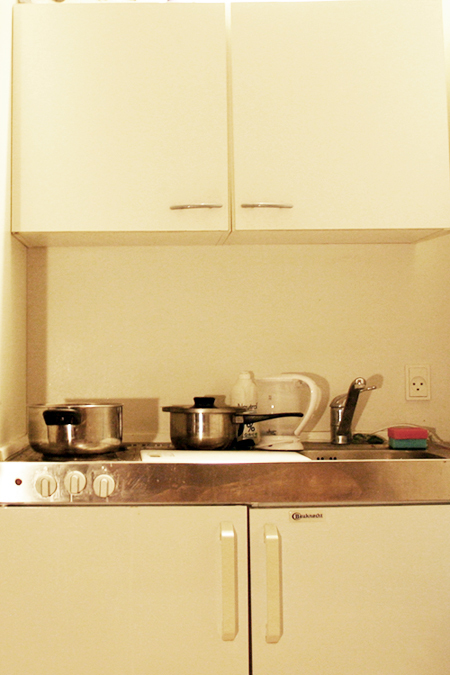 And in this time, I intend to make the most of my kitchenette – cooking as much as possible and challenging myself to be inventive as I whip up deliciously intricate dishes on a student budget.